Whether on the sales floor, in our finance department, or in our state-of-the-art Audi service center, at Kocourek Audi we pride ourselves on delivering a professional and friendly experience to every one of our valued guests. Regardless of your credit history, or the kind of new or used vehicle you're looking for, we're committed to helping you drive away in contentment from our Audi dealership in Wausau, Wisconsin. Go ahead, browse our array of new luxury vehicles and wide selection of used inventory today. Whether you're interested in finding the brand-new Audi Q5 SUV, Audi A3, Audi TTS coupe, or another Audi luxury vehicle, we have a wide variety of new models for you to choose from. We also have a healthy selection of top-quality used vehicles, including used Chevrolet models, pre-owned Audi models, Jeep SUVs, and much more. To experience them all for yourself, stop by our Wausau, WI dealership today. Not only do we offer an incredible selection of competitively priced used and new vehicles, we also have a service center and parts department you can count on to take care of all your auto maintenance and car repair needs. From head to toe, let the certified technicians and advanced auto equipment at our Kocourek Audi service center take care of your vehicle today. Can't find what you're looking for? Get the full Kocourek experience at one of the other members of the Kocourek Automotive dealership family. 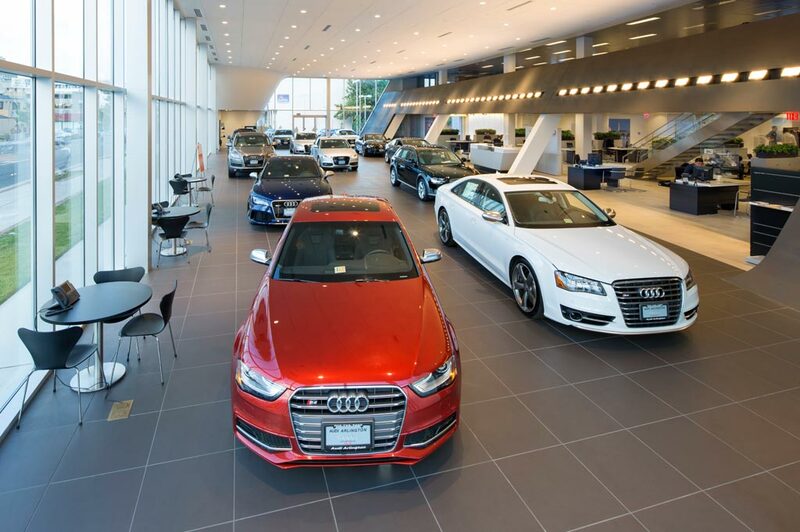 Audi Wausau in Wausau, WI treats the needs of each individual customer with paramount concern. We know that you have high expectations, and as a car dealer we enjoy the challenge of meeting and exceeding those standards each and every time. Allow us to demonstrate our commitment to excellence! Our experienced sales staff is eager to share its knowledge and enthusiasm with you. We encourage you to browse our online inventory, schedule a test drive and investigate financing options. You can also request more information about a vehicle using our online form or by calling (715)359-0302.